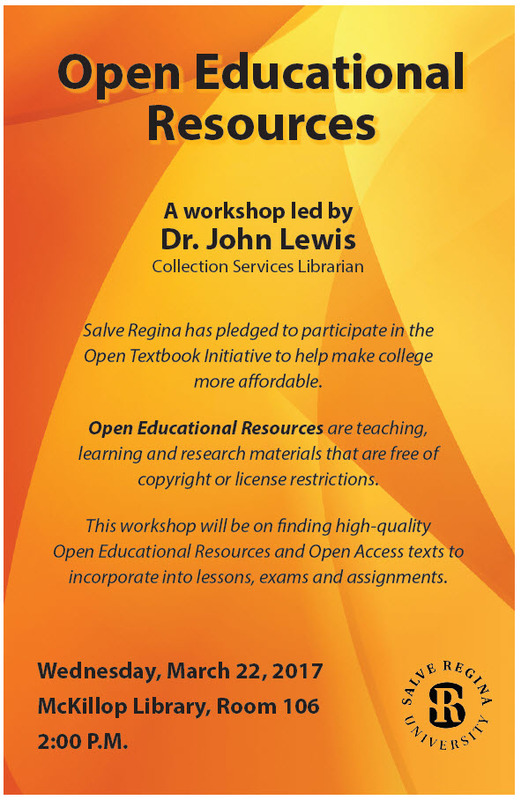 OERs (Open Educational Resources) are teaching, learning and research materials that are free of copyright or license restrictions. Faculty members may choose to replace a paid textbook with a freely available textbook. Faculty members may also replace a textbook with a series of OERs. These freely available materials can be reused, revised, remixed, and redistributed, providing an opportunity to move away from traditional textbook-based instruction and explore alternative methods of instruction. To gather baseline data, we ask faculty members to complete this short survey on current use and knowledge of OER and Open Access Textbooks. This entry was posted by Lori. Bookmark the permalink.